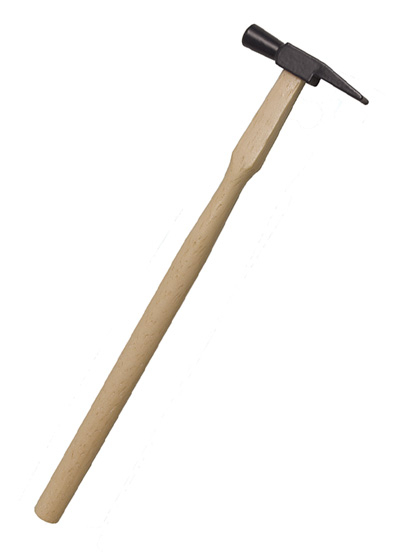 Mini Riveting Hammer with flat end for light duty work and chisel-shaped end for forming metal. Sturdy hardwood handle. 8-1/8in. long. 1-oz. 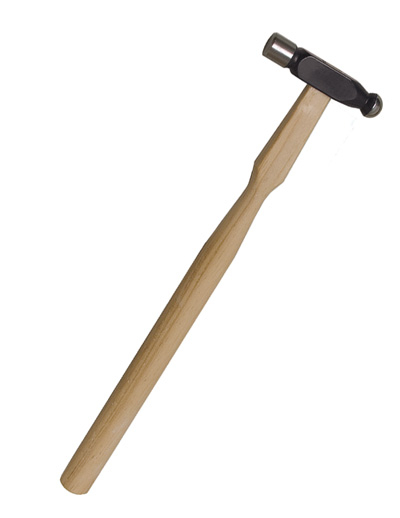 Mini Ball Peen Hammer for flattening, shaping and removing dents. Sturdy hardwood handle. 8-1/8in. long.